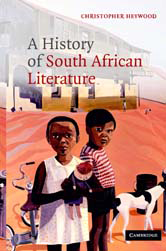 This 2004 book is a critical study of South African literature, from colonial and pre-colonial times onwards. Christopher Heywood discusses selected poems, plays and prose works in five literary traditions. In Christopher Heywood's study, South African literature emerges as among the great literatures of the modern world.